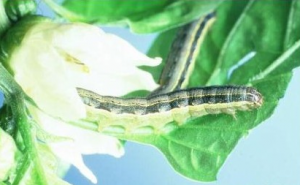 The larvae (caterpillars) of various species of moth and butterfly produce plant damage, mainly by feeding on foliage, but also in some cases by burrowing into developing fruit, or into plant stems or roots. Some species are very selective and will feed on only a single species or family of plants, whereas others are able to feed on a wide range of plant species. In severe cases this feeding can lead to total defoliation or collapse of the plant. In less severe cases the crop yield is be reduced, or produce is made unmarketable by the presence of caterpillars in fruit. 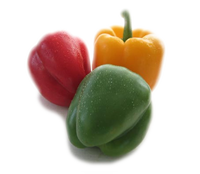 Other species cause post-harvest damage by feeding on stored products such as grains and dried fruits. 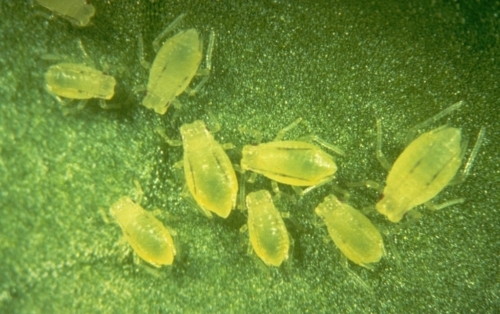 Adult females lay eggs singly or in groups, depending on species, often carefully selecting a host plant by using chemical cues. These eggs hatch to produce tiny larvae, which quickly begin feeding. Patterns of leaf damage are very variable, depending on the species and stage of the larvae, and whether they are solitary or gregarious feeders. Foliar damage by young larvae may be limited to the under surface of leaves, showing as transparent ‘windows’. 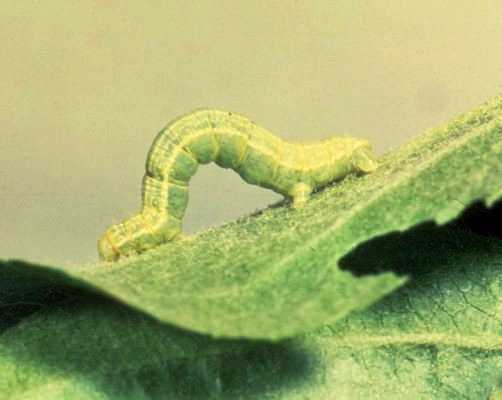 Larger larvae may consume the leaf from the edge, often leaving the main leaf veins intact. Other species may consume the veins as well, making them more difficult to locate. Larvae which start out by feeding on leaves may move into fruit as they grow. Often the droppings, which are in the form of black pellets, provide an indication of the location of a caterpillar. Other, usually smaller, species protect themselves by rolling leaves or binding several leaves or petals together with silk. These are difficult to control, and can cause major aesthetic damage on ornamental plants. A number of generalist predators such as Orius spp. 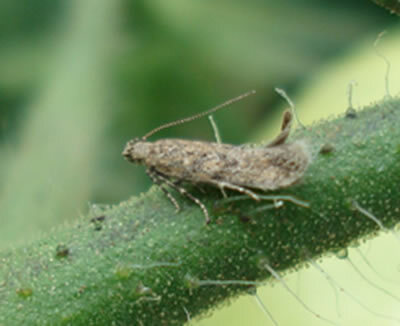 Macrolophus caliginosus and Nesidiocoris tenuis will feed on eggs and larvae of Lepidoptera, but do not offer adequate control.